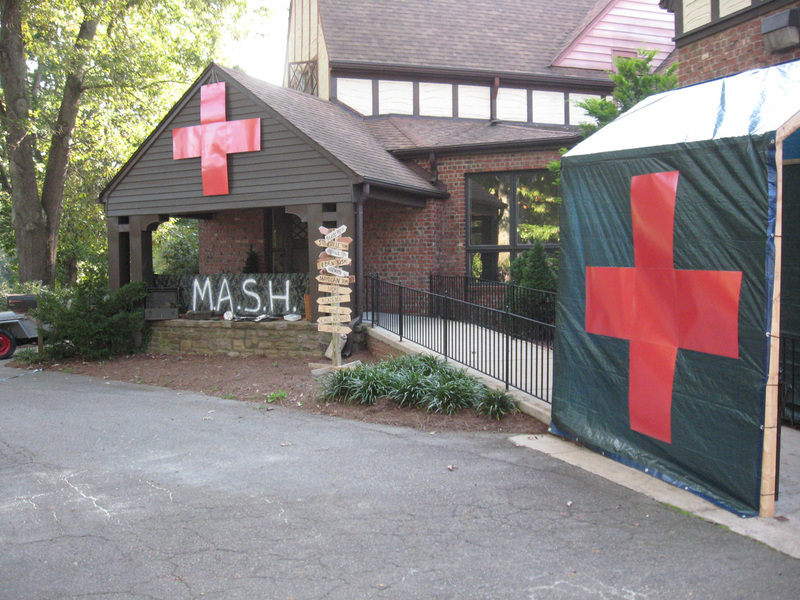 Home » fun stuff , mash , rcc foundation , rockingham community college , theatre guild of rockingham county » "Attention all personnel, INCOMING WOUNDED!" "Attention all personnel, INCOMING WOUNDED!" 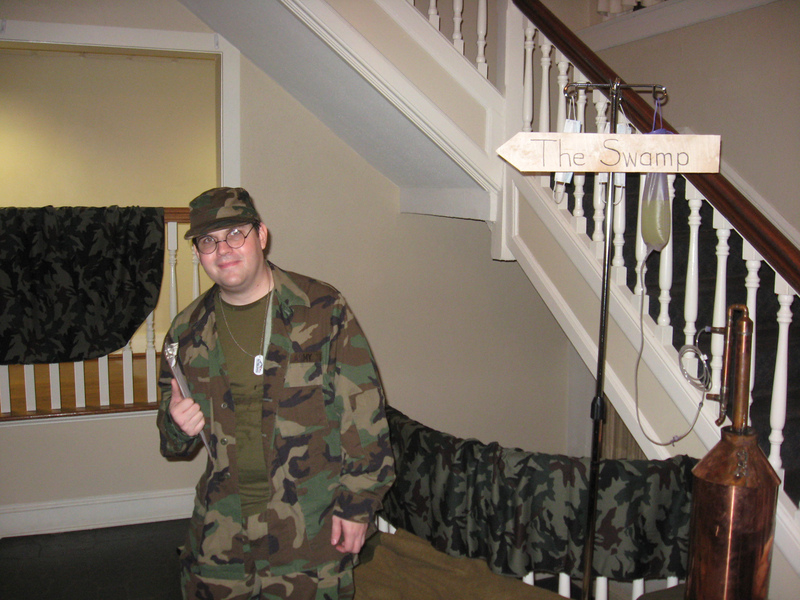 To add further atmosphere, several members of the Theatre Guild of Rockingham County volunteered to be in costume as various characters from the show. We had Mike Davis as Hawkeye and Eric Smith as Trapper (each carrying around a martini glass), Tyler Walker as Klinger (who went through three costume changes including a wedding dress), and Tanya Rimmer Willis as Hotlips. And as Corporal "Radar" O'Reilly, it's Yours Truly! And they even set up Radar's desk complete with period typewriter and radio gear!